I work with men and women in their 40's+ who know that the time has come to invest in taking care of yourself now so that your body will continue to support you well into the future. When you work with me, you get the support, knowledge, and resources in my arsenal to help you build a healthy lifestyle that serves the best version of you. You will develop mastery of your time, get organized, and have a plan for how to nurture & strengthen your body. You get the support you need to build out a customized approach to designing a healthy lifestyle that works for you. I will help you figure out what to eat for the week, create shopping lists, help you exercise smarter, and break the negative cycle of neglect and depletion that is taking a toll on your energy reserves and feelings of wellbeing. If you're not sure if health coaching is right for you, no worries! Just schedule a 15-minute free discovery call, get your questions answered and know for sure if we are a good fit to work together. Click here to book your free call. Clients are accepted anywhere in the United States. We meet over the phone or Skype. If you live in South Florida, you have the option to meet me in person. Identify your goals and figure out what is preventing you from achieving them by looking at what you're eating, how often you're eating, if you're insulin resistant, your time management, your level of physical activity, your motivation, and the type of exercise you are currently doing. Establish your health goals and create an actionable plan to achieve them. Create & implement systems to help you be successful: create shopping lists, learn simple meal planning, weekly time planning, self-coaching, etc. 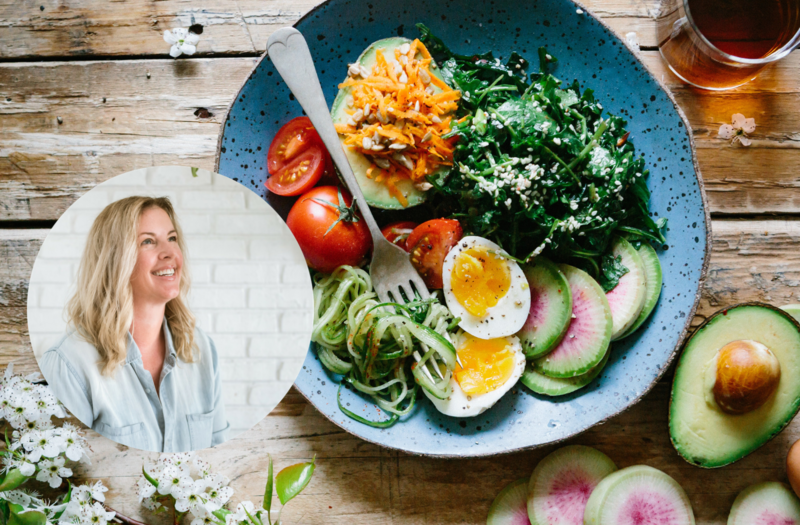 Learn why low-carb nutrition is particularly well suited to balancing hormones, resetting hunger/satiety signals, optimizing weight loss, and stabilizing blood sugar. Discover how to eat intuitively and choose the right food for your unique body. Develop new healthy eating and lifestyle habits that eliminate the need to restrict food or count calories. Choose one of my coaching programs below. Let’s start you down the road to vibrant health and the best version of you. A complimentary telephone consultation will give you an opportunity to ask questions about my approach and decide whether you wish to schedule an individual session or monthly program. This free consultation is not intended to give you any health or nutrition advice, but rather give you an opportunity to see if we are a good fit for each other and for accomplishing your goals. All new clients book an Initial Consultation. You'll fill out a health assessment before we talk. In our one-hour call, we will assess your current lifestyle, concerns, and goals and create a tailored plan just for you. In follow-up sessions, we review your progress and pinpoint 1-3 strategies that will move you toward your goal. Each monthly program includes an initial consultation, plus two 50-minute phone sessions per month & a customized plan of action tailored just for you with what you want to accomplish for your health, and what works best for your body and lifestyle. All monthly programs include unlimited access to me via email. Before your initial session, you will fill out a new client form that inventories your current eating habits, activity levels, outlook, time obligations, and health goals. In our initial session, we will assess your current lifestyle, concerns, and goals and create a tailored plan just for you. In subsequent follow-up sessions, we review your progress and pinpoint 1-3 strategies that will move you towards reaching your goals. Over time, you build on habits from the prior session with fun “homework” assignments to complete in between sessions. We determine how long you need to achieve your goals and create a program to achieve them in a predetermined amount of time. We will troubleshoot obstacles if needed, and I will provide you with new actions to focus on, give you the tools to be successful, and hold you accountable to those actions. You will receive various handouts, meal plans, recipes, and tailored recommendations for your specific goals. In your final session, you and I will assess your progress, and you’ll leave with recommendations to maintain what you’ve achieved for a lifetime. I offer a 30 day, three-month, & six-month subscription programs. Monthly programs give the most structure, accountability, and results. Each monthly program includes an initial consultation, plus two 50-minute phone sessions per month, & a customized plan of action tailored just for you with what you want to accomplish for your health, and what works best for your body and lifestyle. All monthly programs include unlimited access to me via email.